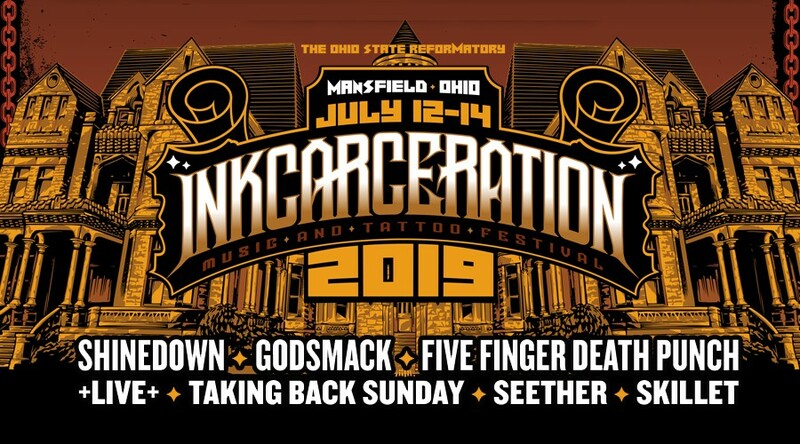 ​Inkcarceration Music and Tattoo Festival announces massive 3-day line up featuring Shinedown, Godsmack, Five Finger Death Punch, +Live+, Taking Back Sunday, Seether, Skillet and many more at The Ohio State Reformatory in Mansfield July 12 - 14! Tickets are on sale now! 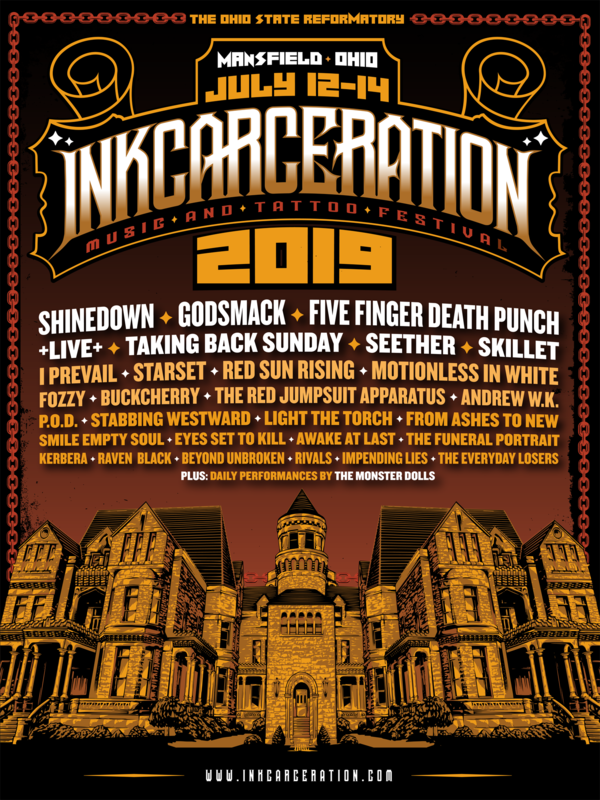 Click the link below or text "INK" to 99700 for your chance to win tickets! Or tune in all week with Handsome Joe to win weekend field passes PLUS a digital download of I Prevail's new album "Trauma!"